Almost 10 months after launching its in-app peer-to-peer chat service Ping, e-commerce major Flipkart has decided to replace it with 'user to seller' chat. Ping allowed users to browse for products and share them with friends inside Flipkart's app. It was launched by former chief product officer Punit Soni, who quit Flipkart in April. The chat feature was seen as part of the company's effort to add social elements to its platform to get users to spend more time on the app. The Bengaluru-based firm has also decided to shut its image search feature that allowed users to browse for similar products based on images they upload on the site. When contacted, a Flipkart spokesperson said, "Flipkart will be pivoting its user to user chat- Ping by launching the pilot for 'user to seller chat' and 'user to customer care' chat." Flipkart has been under immense pressure to ward off competition against the likes of global rival Amazon, which has recently committed fresh investments of $3 billion (roughly Rs. 20,227 crores). The spokesperson said the move is aimed at easing online shopping for consumers. The e-commerce major said it had started testing the user-to-seller chat with a few sellers in April 2016. Interestingly, its rival Snapdeal had launched a similar chat-based model to allow sellers to connect with buyers through 'Shopo'. "This new feature will help users to chat with the sellers about their product related queries, prior to even buying the final product. The pilot which started with a limited set of sellers initially, will be expanded to more sellers in the due course of the project," Flipkart said. 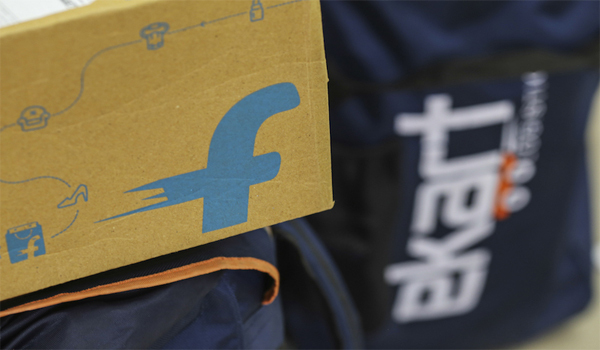 Flipkart said it is also begin pilot for allowing users to interact with customer care executives on a real-time basis for any order, returns or refund related issue by the end of July. "These new initiatives are in line with Flipkart's vision to make shopping extremely hassle-free for the consumers... As part of this transition, the user-to-user chat will not be available, but customers will continue to be able to share any messages or products through any social media platform of their choice," it said.